As per report Kerala's famed Nehru trophy boat race in Alappuzha has been postponed this year due to the heavy downpour and flooding in the state. Meanwhile sources from the Collectorate confirmed to TNM that the race, which was to be held on August 11th, Saturday, will be moved to a later date. Recently the tourism department made the announcement factoring in the risks of conducting the race on the same day. Furthermore official authorities too stated that the decision was taken by the Chief Minister and that an executive meeting will be held following which an official announcement to postpone the race made to the public. Sources added the famed Nehru trophy boat race, which sees competing Chundan Vallams or snake boats, is held at the Punnamada Lake on the second Saturday of August every year and this is the 66th year of the Nehru trophy boat race. Moreover this year, 78 boats were to contest in different categories in the race this time. 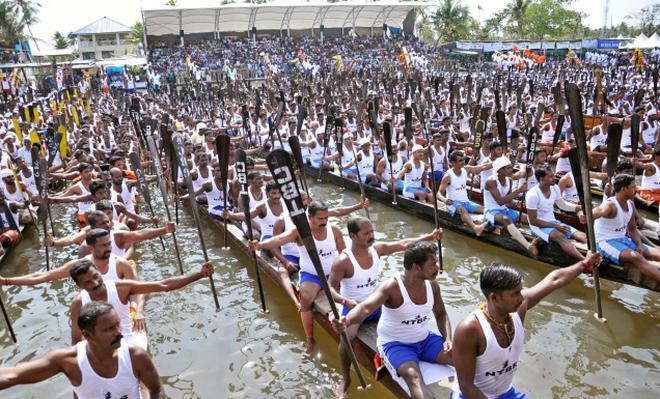 Further around 25 chundan vallams (snake boats) were to participate in the 66th edition of the boat race. Presently an official announcement on the postponement of the boat race will be made on Thursday evening. Chief Minister Pinarayi Vijayan in the press meet also added that new dates for the race will also be announced.